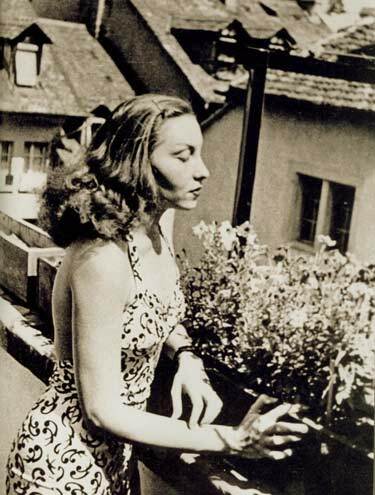 Clarice Lispector is, for me, just like the most wonderfull and interesting woman. Since I was very young I have read her histories, my first book was from her, it was called ” A mulher que matou os peixes”. I just love Clarice and the way she writes, I have read a lot from her, and my favorites books are ” A hora da estrela”, “Água viva” and “Laços de Familia”, they are books that I never get tired of reading. At the moment I´m reading ” A descoberta do mundo” and I´m sure that it will became one of my favourite books too. Every time I read Clarice I just feel that I know her, and that she knows me too. There are some histories in “A descoberta do mundo” that when I´m reading I just feel like she knows exactly what I´m feeling, and she is writing it, just like If she knew me very deep inside. Reading Clarice Lispector become a essencial part of my rotine, and I really think I couldn´t get used to not reading her. She is one of my best companies. I know you liked my comment on you loving Almodovar, but I believe that this time around, you are going to hate me for what I have to say. I LOATHE Clarisse Lispector with ALL MY HEART. It is probably because I was raised learning a more American rhetorical style of writing and that Clarisse does not follow. I have read A Hora da Estrela and Laços de Familia, and I got lost in her thoughts throughout both books. I think she goes on and on about facts that are not really relevant to her narrative and in doing so, she loses her reader. Unfortunately, she breaks ALL the rules we are going to discuss in this course as far as good writing goes. If I were to place her in a writing course at an American university, I would place her in the worst remedial class there is so that she would learn how to write the American way. Sorry for my being so blunt, but that is what I think about her.